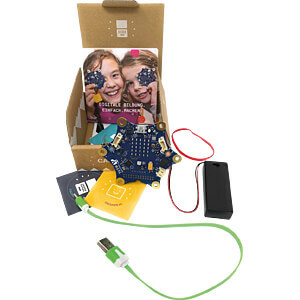 The Calliope mini is a microcontroller that is used as a teaching aid in the school education of children from the third grade onwards, usually under the supervision of adults. 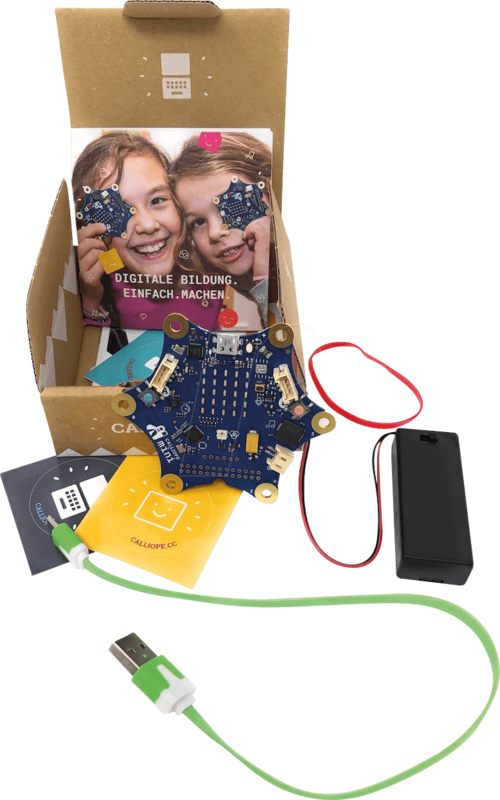 The Calliope mini shows that everyone can code - and with a lot of fun. Getting started is easy, so children, teachers and parents can get started without any previous knowledge. 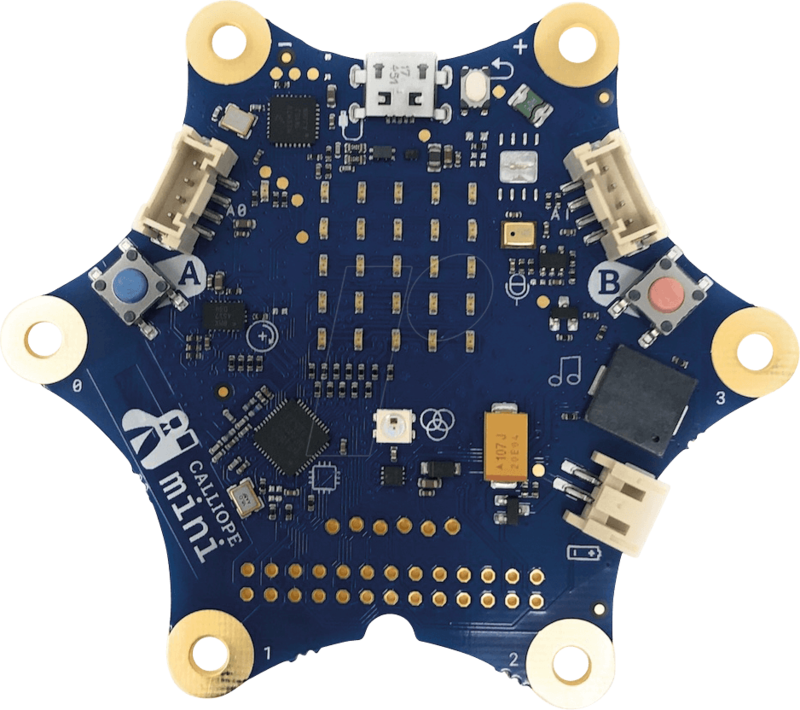 From the first self-programmed flashes to self-propelled robots to wirelessly communicating Calliope mini swarms: with just a few clicks, you can create your own programs for the microprocessor on a connected computer that bring the Calliope mini to life. program via laptop or computer using free editors, e.g. Open Roberta Lab from the Fraunhofer Gesellschaft. Via app, self-created programs can also be transferred wirelessly. The board comes with five pre-installed programs, the operation of which is explained in a small booklet. Also included are battery holders with high-quality batteries and a USB cable for connection to the computer.